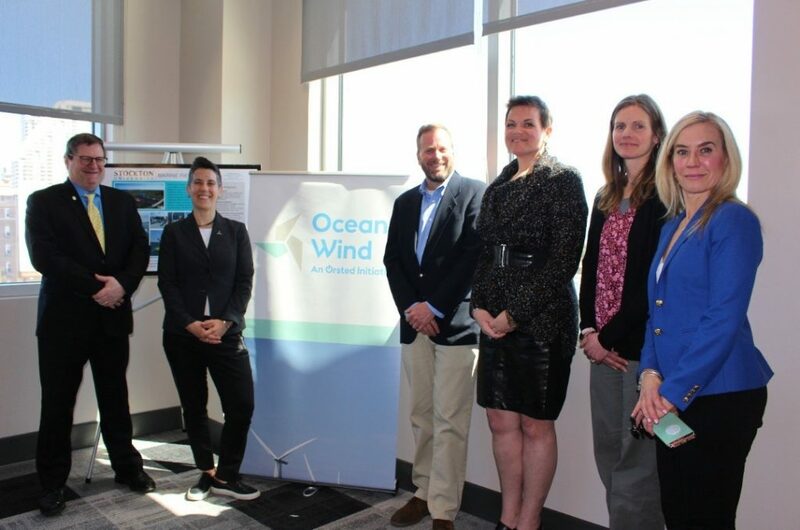 Ørsted U.S. Offshore Wind has signed a Memorandum of Understanding (MoU) with Stockton University that will support research, academic programs, and events at the New Jersey-based university. The agreement could also provide Stockton students and faculty with opportunities to assist with the development of Ørsted proposed Ocean Wind project, should that project receive state approval. Ørsted has submitted an application to the New Jersey Board of Public Utilities to develop an offshore wind farm 15 miles from the coast of Atlantic City. “This partnership with Ørsted is an excellent example of academia and corporations working together,” said Lori Vermeulen, provost and vice president for Academic Affairs at Stockton University. Under the agreement, Ørsted will provide funding to assist in promoting educational programming related to alternative energy, climate change, and resiliency. Stockton offers degree programs in Environmental Science, Marine Science, and Sustainability. The university also operates a Marine Field Station and a Coastal Research Center. “Stockton University has strong academic programs and scientific expertise that align well with our mission to bring offshore wind to New Jersey,” said Thomas Brostrøm, CEO of Ørsted U.S. Offshore Wind and President of Ørsted North America.